two years to live it." Pres Tupou was called to serve as mission president of the Tonga Nuku'alofa Mission in July of 2013. Leitoni Matakaiongo Tupou was born and raised in Tonga. He attended the Liahona High School and served a proselyting mission in Tonga. Afterwards, he attended BYU-Hawaii where he obtained 2 degrees. Here is where he met his wife, Lori. Between degrees he returned home to teach at Liahona High School and played on the Tongan National Soccer Team. His hobbies include soccer, rugby, tennis, basketball and racquetball. He married Lori in the Salt Lake City temple and moved to Juneau, Alaska where Lori was from. This has been their home while raising their 6 children. After retiring from the State of Alaska, Department of Corrections he has been a General Contractor, owned a travel business, started a family corporation and worked for Alaska Airlines. 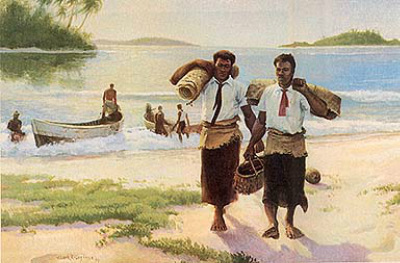 The first Latter-day Saint missionaries arrived in Nuku‘alofa, the capital city, in 1891 and started the Tongan District of the Samoan Mission. The first Tongan Mission was created in 1916, but in 1922 a law prohibited all but a few North Americans from getting visas. To meet this challenge, the mission president called Tongans to serve as missionaries in their own country. After two decades, Tonga had built up a large core of faithful Melchizedek Priesthood leaders. So in 1940, when foreigners left Tonga because of World War II, strong local leadership was already in place. An important missionary tool came on 7 June 1946, when the Book of Mormon was published in Tongan. In 1954 Tongan Saints began receiving a Church magazine in their own language. There are 60,680 members of The Church of Jesus Christ of Latter-day Saints in Tonga, with 166 congregations. 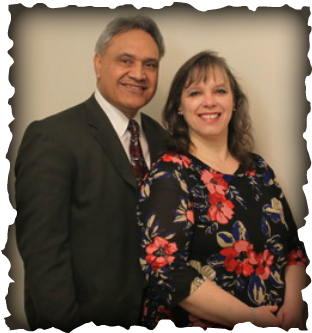 The Latter-Day Saints are very strong, and growing in the Kingdom of Tonga. The church expends a lot of effort in the education of the people. Liahona High School and her graduants is one reminder and tribute to the continuing support of the LDS in Tonga. 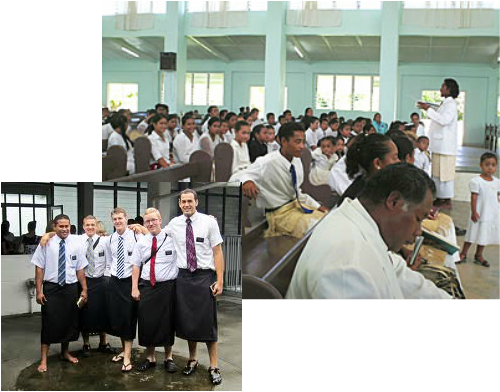 With about 15.5% of the population, the Mormon church holds in Tonga the highest member to non-member ratio world-wide. In no other country in the world is the presence of the Mormons as visible to the visitor as in the tiny Kingdom of Tonga.